Beautiful, big earrings. With Petal in olive green, olive, dark green. Gold colored bead caps. 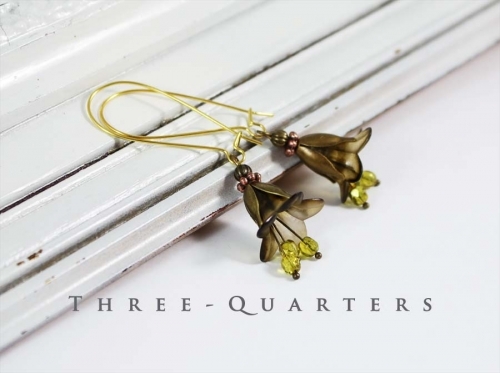 "Pistils" in yellow, gold. At loops in gold.